My site just hit a milestone. Right now my view count for this year has hit a new level. Every time the site hits a nice, new round number I feel a little happy. This year has been great, even with the slow down I had after my son’s birth. Not only have I surpassed last years numbers, but I have hit that next new round number. Nope, I don’t want to write it down. While I am proud to hit this new digit, the digit itself really isn’t something to crow about. I guess I am thinking about it like golf. I’m playing against myself and I am doing better than I was last year. I also owe everyone who has looked at this side a note of thanks. If you have ever clicked on a review, rant or story that I have posted. If you have shared or linked to this site then even more thanks! To anyone who has commented, favorited or emailed, thanks so much! A lot of this feels like shouting into a vacuum and every little piece of feedback lets me know that there are people reading and hopefully enjoying. Bet you see where this is going. Numbers help. Reviews help. And, yep, numbers of reviews help. Yeah, I’m talking about my book Deadly Troubadours. Currently I have 8 ratings and 6 reviews on Goodreads. Locations where the book is available, like Amazon, iTunes and Smashwords, or even Rakuten in Japan, have less. Each of these reviews is important. Not only does it serve as encouragement to me, or even as a notice that, yes, sadly there were typos, but it also let’s others know that this is a book worth the risk. Most folk are going to hear about this book either directly from me or from chancing by this website. A few click on the links to where my book can be purchased. I think the more reviews, the more likely it is that someone may take a chance on an unknown writer. And, of course I want to sell more books. But, in all honestly, at this stage I just want more people to read it. And then review it. 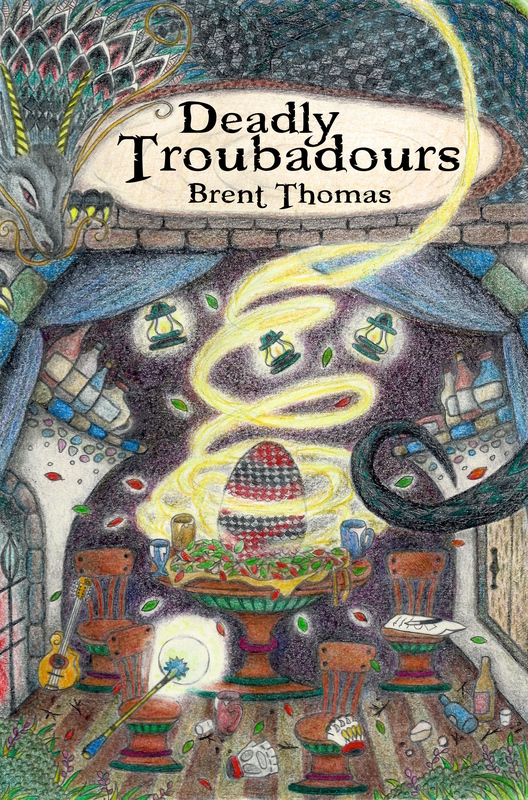 So, please, if you have read Deadly Troubadours add a review at any place you see it for sale. Copy and pasting is a-okay. Or if you are only willing to leave a review in one place, probably best to make it Goodreads. Again, thanks for reading this website and helping me hit a new milestone this year. And thanks for supporting Deadly Troubadours. P.S. If you are extra keen on helping me out with reviews and want to review my podcasts Reading Deadly Troubadours and/or Comics League International, feel free.